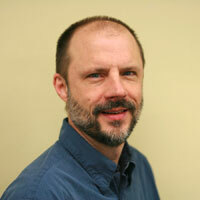 Dr. Philip Hammer received training in plant pathology and physiology at UC Davis and Penn State. After earning his Ph.D. degree he joined Ciba Geigy (subsequently Novartis and Syngenta) where he worked in the biological control and natural products genetics programs to discover and develop biologicals for controlling plant diseases. This work included cloning genes and pathways for the synthesis of antifungal compounds and engineering bacteria with improved disease control activity. Phil joined Athenix Corp in its third month of operation and remained with the company through the acquisition by Bayer CropScience. At Athenix he led projects to discover and clone genes for herbicide resistance, nitrogen use efficiency, and disease resistance. He played key roles in establishing the laboratories and research programs and expanding operations into larger facilities as the company grew from a staff of eight to more than eighty. He also served as containment director and coordinated all of the USDA permits required to import soil, bacteria and plant pests needed to build and screen the Athenix strain collection. Phil left Bayer to become the director of molecular biology for L1 AgroSciences and then worked as an independent consultant in Ag Biotech before joining AgBiome. He is an accomplished inventor, holding fifty US patents and applications, and is the author of numerous peer-reviewed scientific publications.